I am not in denial. Or maybe I am. I’m so confused! I thought that I could take up selling Avon online and be good at it. 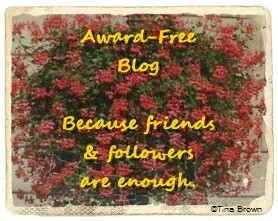 I wanted instant gratification, but I am not seeing it. I still think an online Avon business can be successful by a person like myself who has invisible illnesses and is unable to do any work in an actual work place. I guess I will just have to settle down and wait for it to happen. On to other news. My husband is allergic to adhesives. I know, what a thing to be allergic to, but band-aids and other things such as that with adhesives cause him to blister. The surgery he just had, gallbladder surgery, was done laparoscopically, leaving 4 small cuts, and those cuts were sutured from the inside, then glued on the outside and now he is showing redness and puffiness on each incision. He wants to wait and see how it looks tomorrow before calling the doctor, I’m all about doing it now, but men! What can you do? So I contacted my paramedic son and he will stop by this afternoon and take a look for me and hopefully convince my husband that he needs to call the doctor. OR, ease my mind that he does not need to call the doctor. As for me, I’m not feeling as good today as I was Tuesday and Wednesday. I think I stressed myself too much yesterday and stress and IC do not play nice together. My bladder will calm down, as I calm down, it will just take a little time. I have a new page up, Gallbladder Disease. It is under the menu “Invisible Illnesses” at the top of my page. Please encourage your husband to take it easy and as much time off work as possible. And even when he returns to work to be careful not to over do it. My husband had laparoscopic gallbladder surgery and then ended up with a hernia at the site where the surgery was performed. When he went to the emergency room almost a year later and needed an emergency appendectomy, they found the hernia. He had to wait six weeks after the appendectomy surgery to have the hernia operation. They had to open him up at that point because the hernia was larger than they had originally thought. So while they didn’t open your husband up for this surgery, the area is still weak. I hope your husband recovers quickly. I think you need to have an Avon party and ask around some friends. I buy a lot of Avon products from a friend of mine. 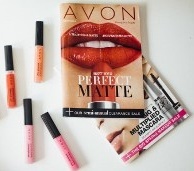 I love Avon and think it is good value for money. Most of my friends abandoned me when I got sick. I have a few left, but they are always busy with their families. I do love Avon though. The party is a great thought. And it is a good value. I used to use Avon products. 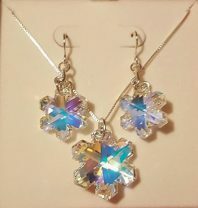 Avon jewelry has good products. I’m allergic to certain kind of bandage also. I had laparoscopic surgeries on both shoulders. Take care!!!! Good, if your son said okay, it must be okay then. Good reason to relax!! Yes, he is a paramedic, so I trust his judgement. It is a very secure feeling. You can do another post on secure, take a photo of his paramedic truck….haha, my mind is hearing the siren! It’s ok, a good idea!